The 75mm acrylic ball is a very popular size contact ball. The 75mm contact ball is great for single ball rolling and manipulation as well as being suitable for multi-ball stacks and tricks. 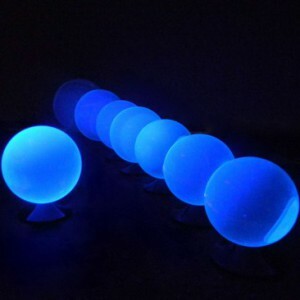 Each ball is very slightly purple in day light and bright blue when used under UV light.